Everyone in the UK knows how important insulation is for every home. With the proper insulation, your home’s temperature will be better regulated and its comfort level can be enhanced immensely, whether it’s during the winter or summer months. And this is where loft insulation comes in very handy indeed. Loft insulation is seen as essential because of the fact that heat rises. If a roof has leaks, cracks, or other damage, no matter how well it is insulated, it will be losing energy. Consider a builder like Avalanche Roofing & Exteriors for your roof repairs and replacements. And if a building’s roof is not properly insulated, a quarter of the heat produced is lost. When a loft is sufficiently insulated, less heat is wasted, resulting in reduced energy bills. One thing you need to remember is that loft insulation has a lifespan of at least four decades, so whatever expense you have for it, you can have it back several times over through its many years of efficiency. The savings you can expect from loft insulation is substantial, especially if you do not have any existing insulation in your roof. For a detached home, your projected savings can be as much as £250 per year. If you have a semi-detached home or a mid-terrace home, your savings can range from £150 to 140, respectively. Those with a bungalow which is detached can expect to save as much as £200 a year on their energy bill. Lofts which already have insulation of up to 100 millimetres can still benefit from upgrading their insulation to 270 millimetres – for a detached home, energy savings can go up to approximately £25, while a semi-detached and mid-terrace house can have savings of around £15. A detached bungalow can save an additional £20. With loft insulation, you not only save a substantial amount on your energy bill – you are also lessening your home’s carbon dioxide emissions. For a new loft installation for a detached home, you can save up to 1,050 kilograms of carbon dioxide per year. If you have a semi-detached and mid-terrace home without new loft insulation, you can save from 620kg and 580kg. With a bungalow that is detached, you can save up to 830kg of carbon dioxide emissions every year. Another important aspect to remember is that whilst the installation costs for loft insulation may vary according to the installer (if you are having it professionally installed), it is worth noting that you can also receive assistance from the government for loft insulation through its ECO programme, or the Energy Companies Obligation programme. For this, an energy supplier will provide you with support as long as you qualify. Energy specialists such as npower even offer online eligibility checks so you will immediately know if you can be supported by the ECO programme. There are certain considerations, however, before you install loft insulation for your home. If your loft is easily accessible, has regular joists, and has no problems when it comes to condensation or damp, you can insulate it yourself. All you would need is mineral wool insulation which you can roll out. But if you are using your loft as storage space, it is better to lay down boards to cover the joists. However, if your loft is not easily accessible or has uneven joists, a professional installer may have to install blown insulation. 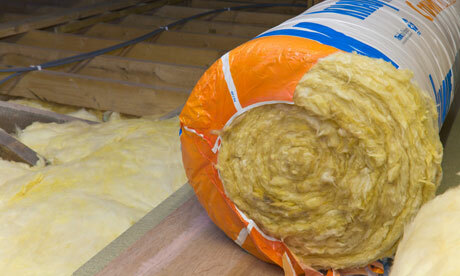 Loft insulation has various benefits for any homeowner. Take advantage of these benefits by speaking with an energy specialist who can also guide you in finding additional ways to make your home more energy efficient.